Our luxury Fruit, Wine and Cheese Crate is a sumptuous gift with mouth-watering zesty and juicy fruit accompanied with fine chutneys, crackers, a delicious bottle of wine with a waxed double Gloucester cheese. The gift is perfect for all occasions and comes presented in a pine wooden crate. 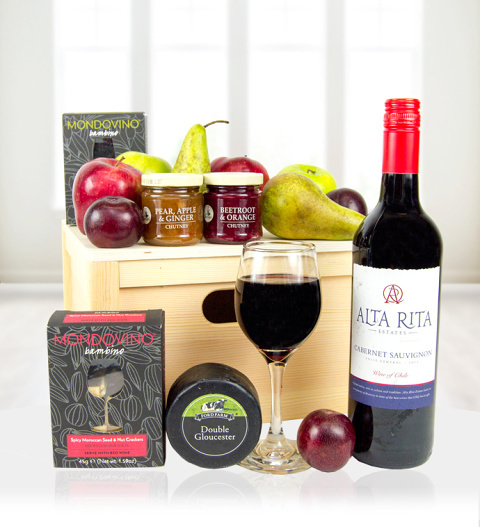 Fruit, Wine and Cheese Crate is available for UK next day delivery.